The show airing June 18, 2018 – June 25, 2018 ‘highlights’ HospiceCare of WV. We interviewed Mike Dupay, Director of Bereavement & Spiritual Healing for HospiceCare WV. Mike discussed an overview of Hospice. HospiceCare strives to enhance the lives of individuals living with a life-limiting illness and their families by providing quality, compassionate medical, emotional and spiritual care. Their programs focus on easing pain and discomfort associated with a life-limiting illness. He talked about their facilities in Charleston and Lewisburg, staff, funding and volunteer program. 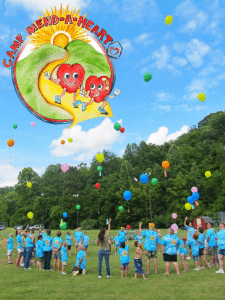 Hospice has their annual Camp-Mend-A-Heart scheduled for Saturday, June 23, 2018 at Camp High Tor in Putnam County from 8:30 – 5:00. This camp is for kids ages 5-15 who have lost a loved one. The camp is FREE for the campers. Call Hospice at 304-768-8523 to register and learn more.